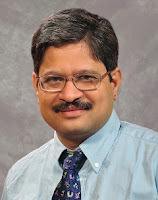 Dr Nilamadhab Kar is a psychiatrist, based in the UK. Besides scientific articles in the field of medicine, more specifically mental health; he also writes poems, stories and articles for public education in English and Odia (an Eastern Indian language), which have been widely published. He has authored and edited few medical books, an anthology of Odia poems and two books of translated poems from Odia to English. He is on the editorial board of a few medical and literary journals.